As I mentioned before the foundation is described as being a high coverage and a mattifying base. The texture of the foundation is quite thick and creamy. I like to dab it onto my face with my finger and blend it out with a buffing brush. I find that this method works best for me. I tried to blend it with my fingers and a makeup sponge but the result wasn't as flawless as with a buffing brush. The foundation is thick in consistency and it takes time to blend it onto the skin for a smooth finish. The product dries quickly so you have to make sure that you work the foundation into your skin swiftly or you will end up having streaks or dry patches. I realise that this totally contradicts what I just said about you have to take your time blending. Seriously though, this is the reality with this foundation. It needs time to blend but it dries quickly (#FirstWorldProblems). I have combination skin and can get quite oily around my nose and cheek area, especially during the Summer months. The tops of my forehead close to my hair line and the skin around my mouth can get very dry and sometimes flake in the Winter months. I love this foundation for my oily areas. It truly mattifies my face and keeps me matte throughout the day. The full coverage is great if you going out and want your makeup to be long lasting with no cracks. Unfortunately the foundation clung to the dry patches around my hairline on my forehead and mouth area. So it looked a little cakey and dry on those areas. If you have dry skin, then I suggest you stay away from this foundation as it will accentuate your dry patches even more and make your face look cakey. 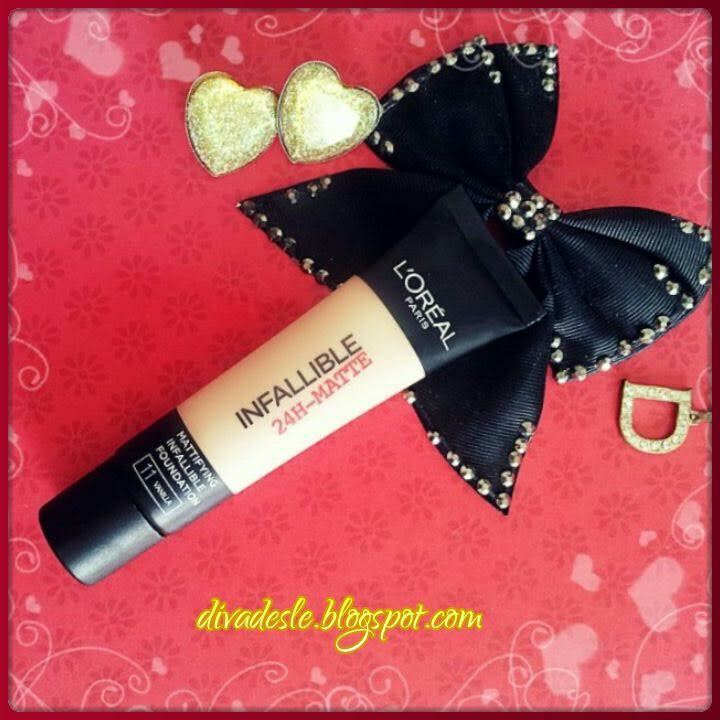 If you have oily skin this foundation will probably be your holy grail product. For combination skin types like me you could go either way. Nevertheless I make this foundation work for me as I really do like the mattifying coverage it gives in my t-zone area. I probably won't buy it again as it didn't do anything spectacular for my skin type. If you have oily skin you will surely love this product. I've been using the Invallible Stay Fresh Foundation but it made my pores look kinda big. I also have combination skin so I might have to skip this one also. Thanks for sharing. Yeah, I think it is way too matte for dry skinned girls. Desle, I've been back and forth as to whether I should try this foundation! You saved me money! I have dry skin and I don't think this would work for me. And that is why I always read a honest review like yours before believing all the hype and wasting my money on a product :-) Thank you Desle! I really want to try this foundation, but we don't have it here! We have the primer, so weird!